Epcot has a reputation for good food and great festivals, one of which actually focuses on the best bites and beverages that they can offer. The day to day affairs of Epcot and its attractions are good, not great, but enough that they still entertain guests throughout the day. If regular guests had their way they’d surely ask for a couple of new experiences in World Showcase and a revitalizing of what already exists around Future World. IllumiNations: Reflections of Earth has been inspiring and touching guests for the past thirteen years, and while you can hear murmurs of guests wanting an update, most are still content with what they see each night at 9:00pm on the lagoon. Given one day and one wish for Epcot, however, I’d focus in on something not seen in Epcot in a long, long time. These days if you are catching entertainment in Future World or World Showcase during the daylight hours, chances are it is a musical group, movie, improvised sketch comedy shows, or maybe a dancing fountain. There is not, as a general rule, a spectacular or parade that captures the attention of massive throngs of guests in a single sitting any longer. Yet, it wasn’t always this way. From 1985 to 1987, EPCOT Center’s World Showcase Lagoon and the skies above it were filled with boats, jet-skies, daytime fireworks, ultra-lights, and colored smoke as part of the battle between good and evil known as Skyleidoscope. Then, in 1991, Surprise in the Skies brought back the air and sea battle between the forces of evil and Mickey Mouse and his crew to World Showcase Lagoon, before shuttering just one year later in 1992. 1993 saw robotic monsters faced off against Mickey again, this time utilizing the fountain of Future World as the backdrop, but after only seven months in ceased production in 1994. I could go on, but have you gotten the picture yet? Daytime theatrical spectaculars are something that Epcot has tried time and time again, but they’ve never been able to find the formula that can launch a production and keep it capturing the imagination and time of guests. That said, I don’t think that means it is time to completely throw in the towel on the idea that guests wouldn’t give up time for a daytime event. The question becomes, should it be a parade or a show? If so should it be based in Future World, a specific spot in World Showcase, or take the epic approach and exploit the entirety of the lagoon? 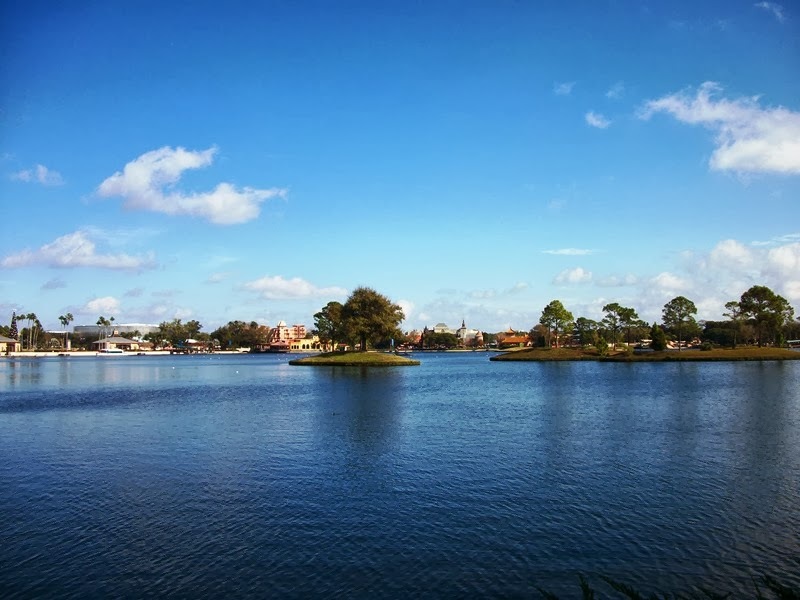 I’m not sure I’m the most qualified person to set that stage, but if my two cents are welcomed, it would certainly be a story-driven spectacular that encompasses the lagoon and all the pavilions surrounding it in World Showcase. Epcot is not, in my opinion, set up for success in the realm of parades, so it would be a show that makes use of every corner and element available in the lagoon. Maybe the show is an all-out attack on World Showcase, with villains attacking from the lagoon and heroes battling them on land in each pavilion, ramping up the ideas from Agent P and Kim Possible games. Throw in the Glow With the Show technology, although in a way that activates pavilion specific items and not so much the lighting up of ears, and you have a reason to draw guests in. That’s just one idea, and I’m certain there could be better options out there. No matter the solution, however, it would have to start with a very strong, very personal story that each and every guest could feel a connection to. That is the success of IllumiNations: Reflections of Earth, Fantasmic!, and Wishes, and it is what drives us to view these eventful tales visit after visit. Should Epcot give up on the idea that it can entertain large swathes of guests in a single sitting during the day? Not at all, but when the time does come to try again, it has to be plotted smartly and not just try to look like the latest and greatest.